Some music compels a certain concentration of its listeners, when the surface of the sound suggests a more sophisticated resonance underneath. The End of History, by Irish singer/songwriter Fionn Regan, is one such album. For this, his debut release on Lost Highway Records, Regan wrote and produced all twelve tracks. Guided mostly by an acoustic guitar, while accentuated with assorted strings, piano, and tempered drums, the songs resonate as sincere and tender folk ballads. 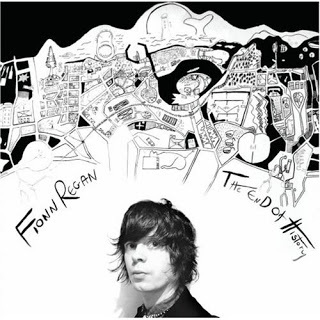 Regan’s voice sounds like a cross between Damien Rice and Ron Sexsmith, crestfallen in its inflection, charming in its warmth. Rich with nuance and melody, the music on The End of History arcs to the shape of the lyrics. A guitar line weaves its way through and around a piano progression on “Bunker Or Basement”. A violin and viola shade the verses of “Noah (Ghost In A Sheet)” with a density that emotively underscores Regan’s voice. Muffled drums steer the stark arrangement of “Snowy Atlas Mountains” toward its ominous descent and conclusion. On the page and through the speakers, the lyrics echo like poetry, wherein any specific intent may not seem literal or obvious, while nonetheless yielding an impression. For instance, on “The Underwood Typewriter,” Regan sings, “I’m changing the ribbon in this old Underwood/Step out of your dress and I’ll wear you like a hood/For a hood is a home/For someone who lives alone.” On a visceral level, the lyrical obscurities and imagery leave their meanings open to interpretation, which ultimately personalizes their appeal to each listener. 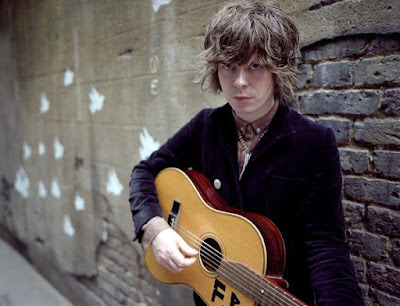 In the liner notes, Fionn Regan writes, “Making this record has been like building an ocean liner with a butter knife.” Such an effort is obvious in the music’s details, like in the bending of a note, the phrasing of a lyric, the aesthetic of a lone acoustic guitar. Not only did Regan’s diligence and skill pay off with The End of History, it produced an evocative and magnificent album that will reward its listeners for their undivided attention.